Majudra, majadra – however you spell it – spell it my new fave comfort food. 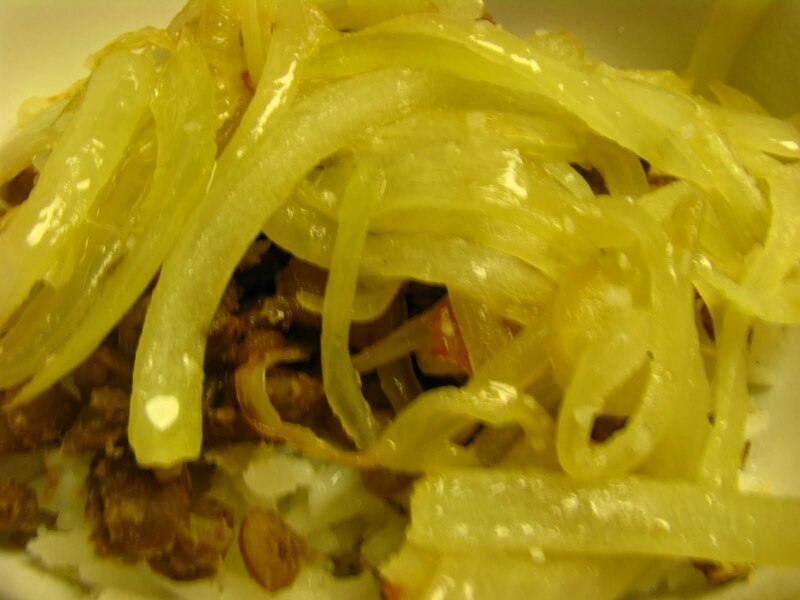 Cheap, warm, perfect as a salad topping, caramelized onions – can it get any better? I had seen this as a recipe, and I have had the recipe, but I had not made it yet. Then, 2 weeks ago I went to The Grape Leaf in Louisville and ordered this. I LOVED IT. But, I knew the caramelized onions would have to be more prominent for me! Heat olive oil and pour in rice – cooking till opaque – like you would risotto. Pour in water and garlic – simmer with lid on till done. Cook lentils till done but not mushy – then add seasonings. Sauted onions, stirring a few times – not a lot. Bowl: rice, lentils, caramelized onions. Top with either melted butter or olive oil. Next time: I’ll make it with more cumin and brown rice, maybe switch out the all olive oil for half oil and butter on the onions.